The World Bank is pleased to invite abstract submissions for the 19th Annual Conference on Land and Poverty to be held March 19 – 23, 2018 in Washington, DC, USA. The conference has become one of the largest international events on land governance, attracting over 1,300 participants in 2017 from governments, academics, civil society, and the private sector. Please consult the World Bank Land and Poverty Conference website for video recordings, papers and powerpoints presented at the 2017 conference. March 19: Official opening event and pre-conference session at 5 pm. March 20–22: Parallel thematic tracks with oral paper presentations and policy round tables. Closing session on March 22 followed by a reception. March 23: Learning day: MasterClasses and field visits. March 19–23: Exhibition booths in Atrium (please contact conference organizers on availability and conditions). 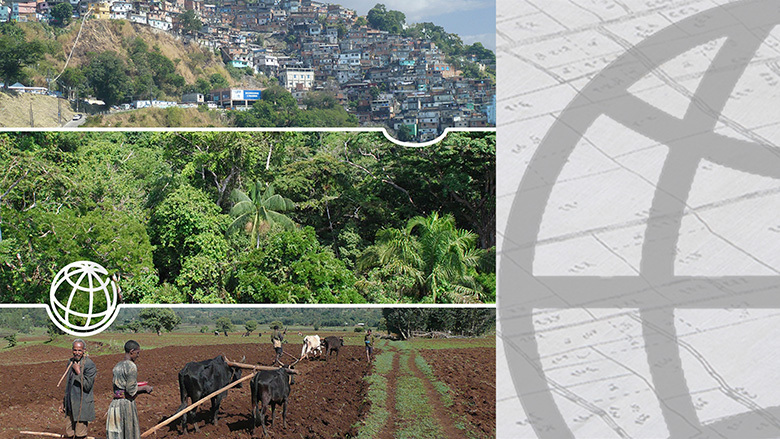 Achieving responsible large-scale land based investments: lessons learned 10 years on. Please find a comprehinsive document (pdf) in this link. Please submit abstracts for oral presentation of an individual paper, poster, or MasterClass by October 13, 2017 via Conftool (Please view guidelines on how to create a new user account and submit an abstract). Abstracts should be between 800 and 1,500 words, anonymous, written in American English, and submitted online in Word format. Abstracts less than 800 words will not be reviewed. Abstract selection for presentation is on the basis of a double-blind peer-review process. Criteria are (i) relevance to conference thematic tracks; (ii) evidence-based and methodological appropriateness; (iii) innovative and new; (iv) significance of findings for policy or research agenda; and (v) clarity of presentation. More than one abstract can be submitted; due to space limitations only one accepted abstract can be presented by a participant. Abstract accepted for oral presentation, poster and masterclass will be communicated by December 4, 2017. Kindly note that inclusion of an accepted presentation in final conference program is conditional on timely conference registration and uploading of full paper or poster. Conference registration should be completed by February 1, 2018. Full papers should be uploaded by February 15, 2018.